Wetherspoons (JD) plc JDW is paying a maintained dividend of 4p per share for the six months to the 27th January. Despite a rise of 7.1% in revenue and 6.3% in like for like sales, profit before tax fell by 18.9% and earnings per share by 18.2%. Chairman Tim Martin, as can be expected, lambasts the establishment for a producing a barrage of negative economic forecasts predicting that the UK will go to hell in a handcart without a ‘deal’ with the EU. The great link in economics is that between democracy and prosperity. The fact that the EU is becoming less and less democratic does not bode well for its future prosperity. This winters excellent weather has been a shot in the arm for the brewers and in the six weeks to the 10th March, like-for-like sales have increased by 9.6% and total sales by 10.9%. Costs in the second half of the year will be higher than those in the same period last year and an unchanged trading outcome for the current financial year.is anticipated. Restaurant Group plc RTN made significant progress in 2018, A record number of new sites were opened in both the Pubs and Concessions businesses, and achieving improved like-for-like sales in the Leisure business throughout the year. Wagamama which was acquired during the year proved to be a high growth business. Like for like sales for the year to the 30th December fell by 2% whilst total sales rose by 1% and current trading for the 10 weeks to the 10th March showed a rise 2.8%. The final dividend of 1.47p is in line with the boards current policy. Symphony Environmental plc SYM is pleased with its preliminary results for the year to the 31st December with the CEO claiming that it demonstrates positive momentum on many different fronts. Ten governments have mandated that certain plastic products must contain oxo-biodegradable additives A further nine countries have introduced positive regulation for all types of bio-degradable packaging, regulatory moves which are beneficial to the Group’s business. Reported profit before tax fell to £0.04 million from £0.43 million in 2017 and basic earnings per share from 0.28p to 0.03p. Barratt Developments BDEV updates that it has produced a strong financial and operational performance for the year to the 30th June and achieved 17,579 completions the highest level in a decade. Helped by a strong end to the year, profit before tax expected to be around £835m a rise of some 10% on last years figure. Wetherspoon JDW in the 10 weeks to the 8th July like for like sales rose by 5.2% sales. In his by now almost one man battle to ensure that Brexit happens, Chairman, Tim Martin explains in detail the benefits of Brexit to both Wetherspoons and many other companies. “The main advantage of Brexit is that the EU is a protectionist system that imposes high tariffs on non-EU imports such as wine, rice, coffee, oranges, children’s shoes and clothes, and over 12,000 other products. “Leaving the EU allows the UK to adopt the approach of countries like Singapore, Hong Kong, Switzerland and Australia by dismantling the tariff walls, which improves general living standards.He ends with a quote from the Australian High Commissioner that there was never a country that embraced free trade that was poor as a result. Page Group plc PAGE The second quarter produced a number of records with a record 16% rise in profits and a record total profit for any quarter of 202m. The rise of 16% was the highest quarterly growth rate for seven years. For the half year total profits rose by 12.5% or 14% at constant exchange rates. Staffline STAF remains on target for its Burst The Billion plan. A strong set of results for for the year to 31st December produced a 27.5% rise in statutory profit before tax. The final dividend is to be increaed by 2.6%. Market share has increased more than ever and net debt has more than halved from from 36.7m to 16.5m. 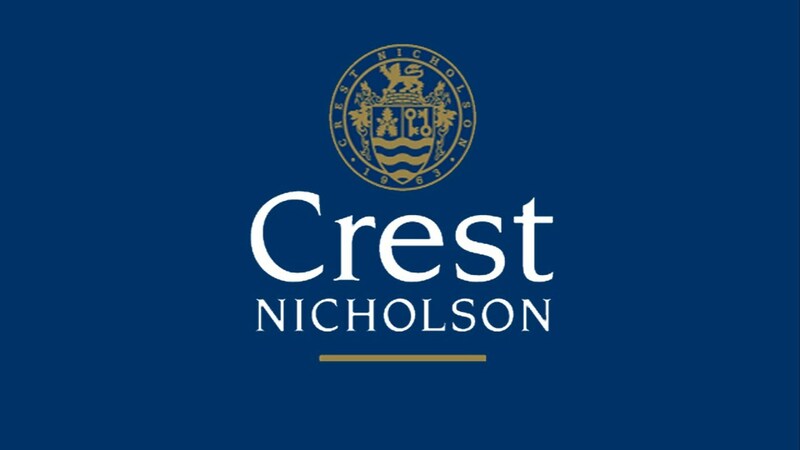 Crest Nicholson Holdings CRST saw sales by volume grow by only 2% in the year to 31st October as against a 7% rise in value and a 33% rise in total dividends for the year. Forward sales as at mid January were up by 8% in value but the volume figure is not disclosed.. Statutory revenue rose 5%, profit before tax by 6% and basic earnings per share by 7%. The new build housing market continues to be robust thanks to government policies and strong demand. Sage Group SGE Group organic revenue for the first quarter to the 31st December grew by 6.3%.with North America putting in a strong performance and France under performing. The second quarter is is expected to be stronger and full year organic growth is expected to be in the region of 8%. Plant Healthcare PHC made strong progress in the year to 31st December, in implementing its key strategic objectives.Revenue rose by 22%, helped by particularly strong sales growth of 100% in Europe Africa. Marks & Spencer MKS CEO Steve Rowe comes out of his corner fighting with claims that in the half year to the end of September, good progress has been made on the immediate burning issues which he faced a year ago, and that Marks is now a robust and profitable business. Only in Food are there still problems which he will be addressing later in the year. The company, he crows, is ready to accelerate the transformations which have taken place and he produces figures which he appears to hope, will lead people to believe him. International profits have trebled to £60.3m., full price Clothing & Home sales have risen by 5.3% and food revenue is up by 4.4% but all of that rise he admits is due to the opening of new space. Now it would perhaps be unfair to say that is a load of porkies but the figures which really matter in the view of many, like for like revenue on a constant currency basis, show a somewhat different story which hardly yet justify that fighting stance. The truth is that on a like for like, constant currency basis, decline still prevails and does so in all sectors. Food is down 0.1%, Clothing and Home is down 0.7%, total UK revenue is down by 0.3% and even the much vaunted International business turns out to have declined by 3.1%. To add insult to injury the same table of statistics is used to show that all these falls add up to a rise of 2% in total group revenue. This mathematical sleight of hand is made possible by failing to specify whether that total revenue figure is like for like revenue, on a constant currency basis or what. Persimmon PSN has enjoyed strong customer activity in the quarter to the 7th November and has now fully sold up for the current year, whilst forward sales reserved beyond 2017 now amount to nearly £1 bn. Not surprisingly in these circumstances pricing has also remained strong. JD Wetherspoon JDW updates that the new financial year has started positively with sales at a slightly higher level than anticipated. Costs however have been significantly higher than expected. Chairman, Tim Martin, saves most of his update to lambast the media, senior company directors et all for providing completely false information about Brexit and the devastating effect it will have on companies and on the British economy, as a whole. He refers to quotes and articles by Sainsbury and Whitbreads and exposes their arguments as being deliberately misleading and makes the point that they and other majors, already have plans in place in readiness for brexit, deal or no deal and many of them are positively looking for ward to it. Aviva AV. has completed the sale of its 50% shareholding in life insurance and pension joint ventures Unicorp Vida and Caja España Vida, as well as its retail life insurance business Aviva Vida y Pensiones, to Santalucía. Total consideration of the transaction is €475m (£424m). Avon Rubber AVON issues a pre-close trading update ahead of its year end close on 30 Sept 2017. Trading in the second half has been good across the Group and Avon expects FY adjusted PBT to be in line with current market expectations, with continuing strong cash generation. Edenville Energy EDL reports interims. CEO Rufus Short said: “The first half of 2017 was an extremely busy and transformational period for the Company. Having raised funds in February to start production, we have been able to rapidly put in place the required infrastructure and are seeing strong demand for our coal.”The remainder of 2017 is expected to be equally busy and we look forward to providing updates as matters progress.”. Purplebricks Group PURP announces that it is formally launching its business in the US later today. In line with the region by region rollout successfully adopted for entry in the UK and Australian markets, the US launch will commence in Los Angeles, before extending across the state of California and other targeted key states thereafter. Wetherspoon (JD) JDW publishes FY results, revealing LfL sales up 4%, revenues up 4.1% at £1.66bn, and PBT up 27.6% at £102.8m. EPS rocketed 43.3% to 69.2p and the group maintained its FY dividend at 12.0p. Since the year end, Wetherspoon’s LfL sales have continued to be encouraging and have increased by 6.1%. CEO Tim Martin believes that comparisons will become more stretching as the year progresses, and sales, which were very strong in the summer holidays, are likely to return to more modest levels. Barratt Developments BDEV is upbeat on trading, and reports total completions of 17,395, the highest level of completions in nine years. PBT is expected to beat current expectations at around £765m (2016: £682.3m), and year end net cash balance of around £720m is also ahead of guidance, driven by strong performance and the timing of land and working capital payments. Eddie Stobart ESL reports a 13% hike in sales for six months to 31 May to approx £287m, with operational efficiencies improving the growth rate at an EBIT level. H2 has started well despite the challenges for the logistics sector due to the current political and economic environment, plus the period will benefit from a full six months’ contribution from the recently acquired iForce business. Micro Focus International MCRO reports FY revenues of $1,380.7m, slightly above the mid-point of management guidance. Underlying adj EBITDA rose 4.2% to $640.9m, adj diluted earnings per share rose 19.7% to 175.65 cents and the FY dividend increased by 32.1% to 88.06 cents. The board says it is confident that medium-term low single digit revenue growth, industry leading margins and strong cash conversion will ensure that Micro Focus can deliver on its strategy. 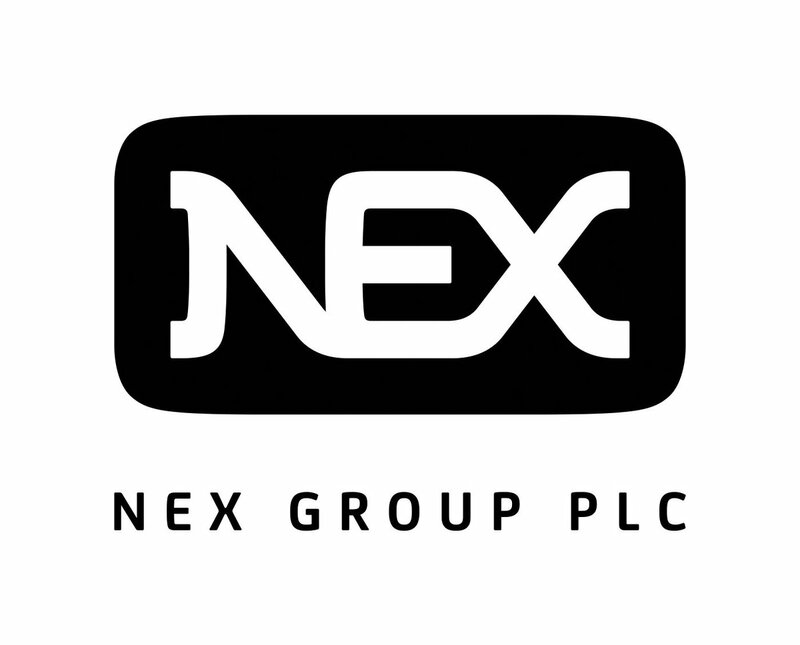 NEX Group NEX says NEX Markets revenue grew 11% on a constant currency basis (20% on a reported basis) during Q1 principally driven by the CFETS partnership. Trading activity was hit by low volatility albeit with episodic activity around macro events such as the French election and a US rate rise. JD Wetherspoon JDW says like-for-like sales increased by 5.3% for the 11 weeks to 9 July 2017, while LfL sales year to date (50 weeks to 9 July 2017) rose 3.9% (total sales up 1.9%). Around £24m of exceptional, non-cash losses are expected this financial year, mainly from pub disposals and closures. Robert Walters RWA reports a record quarter, with net fee income up 16% (25% actual) year-on-year. The performance benefited from the group’s international footprint and breadth of recruitment solutions. The RWA board is confident that FY PBT will be ahead of current market expectations. Persimmon PSN The housing boom has continued to go from strength to strength since half year results were announced on the 23rd August and private sales have risen by 19%. This continues the trend experienced earlier in the summer and Persimmon is now fully sold for the current year, with consumer confidence described as “resilient”. Ryanair RYA October traffic grew by 13% thanks to cheaper fares and the load factor rose by a further 1% to 95%. Wetherspoon JDW Sales and profits were at record levels with profit before tax after exceptionals showing a rise of 12.5% for the year to 24th July. Before exceptionals the rise was 3.6% with revenue up by 5.4%. The full year dividend is maintained at 12p. Wetherspoon’s Chairman, Tim Martin, then goes on to lambast at great length the politicians and delusional economists who forecast in great detail the doom and disasters from which we would suffer if we exited the EU. The truth is, he says that successful economies are those of democratic countries. The main flaw of the EU is the absence of democracy which will lead to political chaos within the Union and to dire economic consequences. Minoan Group MIN issues a profit warning stating that profits for the current year will not meet expectations after significant impact from the weakness of sterling and the decline of tourism to Turkey. At present and for several months this is reducing gross profit by £100,000 per month. However forward bookings are showing a rise of 8%. Wetherspoon (JD) JDR Tim Martin devotes most of todays update to a withering attack on Christine La Garde, Cameron, Carney and all the others involved in the fear and terror propaganda machine known as Remain. First the boring bits. For the 11 weeks to 10th July Wetherspoons like for like sales rose by 4% and for the 50 weeks to 10th July they were up by 3.4%. total sales for the 50 weeks rose by 5%. As for the company’s outlook he says; Wetherspoon trade strengthened slightly in recent weeks and we consequently anticipate a modestly improved outcome for this financial year. Caution should be exercised in extrapolating current levels of sales growth for future years.” And then comes the killer thrust. “Unbeknown to most voters, one of the “architects” of the Remain campaign, which devised the above approach, was Peter Mandelson (“How the struggle for Europe was lost”, Peter Mandelson, Financial Times, 2 July), who worked closely with Cameron, Osborne and others. “In my opinion, the above individuals and organisations are either dishonest, or they have a poor understanding of economics, since democracy and prosperity are closely linked and the EU is clearly undemocratic. By voting to restore democracy in the UK, I believe the UK’s economic prospects will improve, although it is quite possible that the unprecedented and irresponsible doom-mongering, outlined above, may lead to some kind of slowdown. Barratt Developments BDEV proclaims another strong performance for the year to 30th June with profit before tax expected to show a rise of 20%, after a 5.3% rise in completions and another huge rise of 10.6% in average selling prices. Not surprisingly Barratt remains supportive of governments schemes designed to ensure that housebuilders can continue to benefit from strong demand and inflation beating price rises. Burberry BRBY continues to suffer from falling sales even in its most important markets, as it tries, so far without much signs of success, to position itself for long term growth in the midst of a challenging external environment. In the three months to the 30th June, Asia Pacific and Hong Kong, where it once rode so high, saw a double digit % decline in like for like sales whilst Continental Europe was depressed and saw a similar fall in sales to travelling luxury customers.The UK on the other hand did deliver mid, single digit % growth. Caution is also expressed about the outlook for wholesale sales since May and expects that the 6 months to the end of September will produce a fall of 10%. Ryanair RYA hit new records in April with traffic growing by 10% to 9.9 million and customer load factor up by 2% points to 93% and all achieved despite strikes by air traffic controllers in a number of European countries. Annual traffic growth over the past 12 months now stands at 12%. What was that Willie Walsh was saying about weak markets only a few days ago – test – how many can tell me accurately and now what his airline’s name is, this year. SHELL RDSA First quarter cash flow nearly disappeared with a fall of 91%, whilst first quarter income was down by 89% as the oil crisis savaged the company. Shell fought back with cost cuts and with strong results from Downstream and Integrated Gas. The combination with BG also got off to a strong start. JD Wetherspoon JDW saw third quarter like for like sales grow by 3.8% and total sales up by 5.5%. Nineteen pubs have been closed since the start of the financial year of which only 8 have been sold but 16 new openings are expected for the year. The full year outcome is expected to be reasonable. Direct Line DLG claims another quarter of top line growth on which it is aiming to build fir the rest of 2016. First quarter gross written premiums rose by 4.2% with Motor & Home being singled out as strong. despite the no of policies in force has actually fallen over the past 12 months, with only Motor and Commercial showing a rise. Paddy Power Betfair PPB The merged group has got off to a good start with revenue fior the 3 months to the end of March up by 16% and operating profit by 36%. All 4 of its brands are trading well.